Rocket Lab informed that during the second flight of the Electron rocket, which was successfully completed, together with commercial satellites, an artificial star "Humanity Star" was delivered into space. It is visible in the sky even during the day, and is supposed to remind us of our place in the universe. The whole action was carried out in secret and it was revealed only after it was placed into orbit. Humanity Star is a metre-high carbon fibre geodetic sphere consisting of 65 reflective panels. It rotates in space and reflects sunlight towards our planet, which leads to the flickering effect. 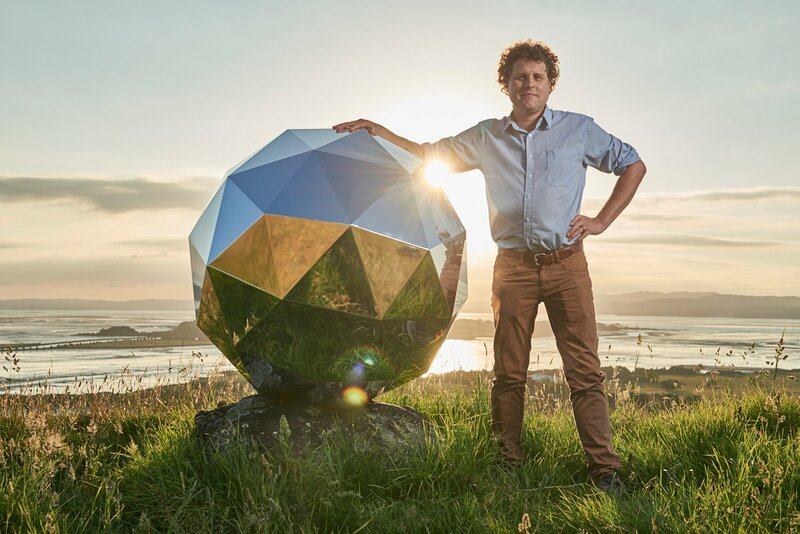 The Rocket Lab says it is the brightest object in the night sky, resembling a disco ball and a falling star, orbiting the Earth every 90 minutes. If you want to follow Humanity Star and see it with your own eyes, I recommend using a special website designed for this. You can find it here. The concept of Humanity Star has been inspired by the phenomenon of Iridium flares, which we can observe in the night sky. The old generation Iridium satellites, which are being replaced by Iridium NEXT constellation, have three antennas which reflects the sunlight towards our planet. During the flight, Iridium satellite can create a strong flash (flare) in the sky, which is visible to the naked eye from the surface of the Earth. Humanity Star will orbit the Earth for about 9 months. Then it will burn in the Earth's atmosphere and leave no space debris behind. The company is thinking about future versions of Humanity Star that could be launched into space in the future.